" Quality Two days in Siem Reap professional, friendly service are our priorities "
After Breakfast continue to visit Ta Prom temple famous Buddhist temple built at 12thcentury served as the tomb the king's mother where the tomb raider was filmed,Ta Keo temple, Ta Nei temple. Lunch at the local restaurant.Afternoon visit Angkor Thom the ancient khmer empire capital city from 12th century, including Bayon temple, the terrace of elephant, the terrace of leper and the ancient royal palace area then back to hotel. Day 2: (full day temple and countryside tour) Preah Khan/Ta Som/East Mebon/Banteay Srey/Neak Phean/Pre Rub /Sunset). 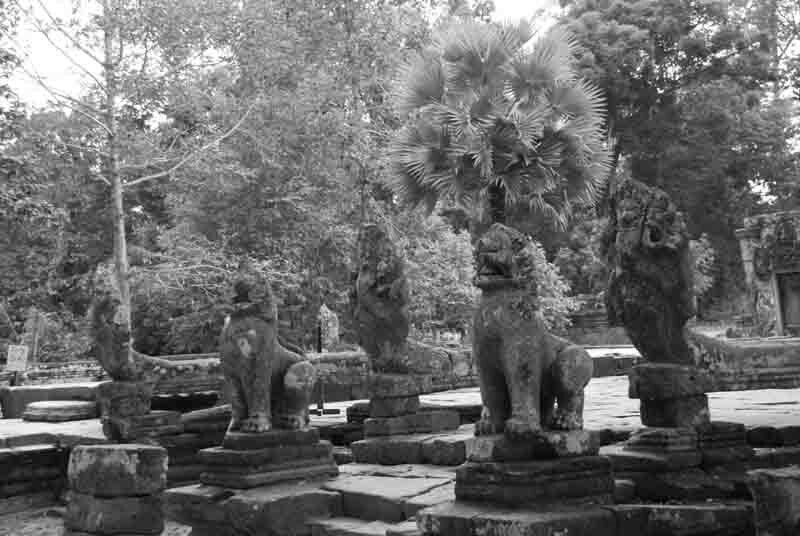 Pick up from the hotel at 8:30am to visit Preah Khan temple ( the famous Buddhist temple and a tomb of King's father built at 12th century) Ta Som temple, east Mebon templeLunch at the local restaurant.Afternoon visit pink sandstone temple Banteay Srey (Citadel of Women)located about 45KM from the city.On the way back you will have chance to see nice countryside villages, we will visit local people produce sugar palm, daily lives, activities of the local people and modern Buddhist temple then view the sunset at Pre Rub temple , after that back to the hotel end the tours. *Please note the itinerary above is flexible and open to discuss or can be adjusted to suit your requirement.